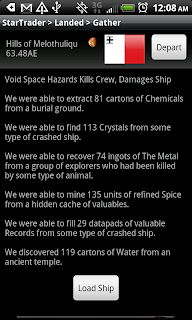 New version of Star Traders RPG for the Android OS was released today. This new point release improves a number of game play aspects and includes some user interface enhancements. Some devices will also run slightly faster during flight.